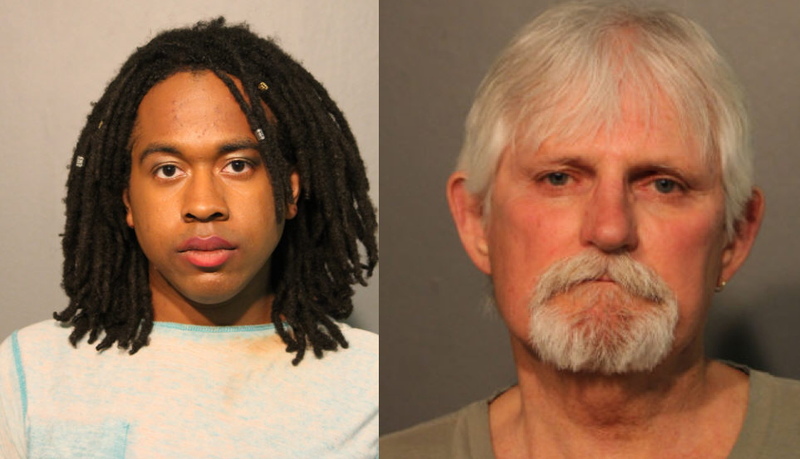 BOYSTOWN — A Lakeview man and a transgender woman are facing charges after threatening each other with knives during a stand-off in the middle of Belmont Avenue on Monday evening, police said. Passers-by and motorists called 911 around 9:20 p.m. and reported the two were standing off the middle of traffic at 826 West Belmont while brandishing knives. Arriving officers reported seeing 22-year-old David Spearman and 67-year-old Patrick Thomas “in a fighting stance” while “surrounded” by traffic, according to court records. Spearman, also known as Xarla Flucillon, and Thomas are each charged with reckless conduct and unlawful use of a weapon. They are free on recognizance bonds. Police said Thomas was holding a folding pocket knife while Spearman was brandishing a steak knife and a vegetable peeler. 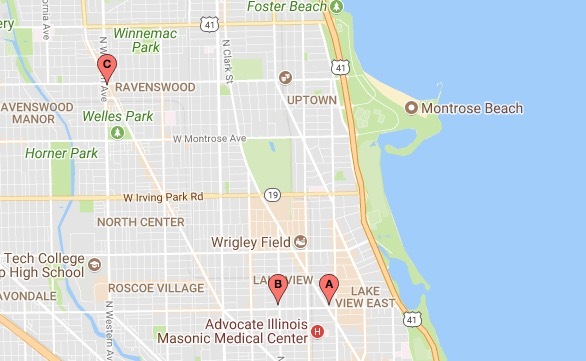 LAKEVIEW — A 45-year-old man told police that he was robbed and hit over the head by three men near the 1200 block of West Belmont on Wednesday morning. The man was on foot near Belmont and Racine around 9:30 a.m. when the three offenders approached and one of them struck him on the head with an unknown blunt object. The three then took his cash and fled. The man was treated for a head injury at Advocate Illinois Masonic Medical Center and released, according to police. LINCOLN SQUARE — Police are seeking an unknown man who allegedly masturbated on a woman as they rode the Brown Line around 3:45 p.m. Tuesday. The victim exited the train after the incident when the train arrived at the Western station. She said the offender is a black male who wore his hat backward with a white striped button-down shirt. He was last seen exiting the front of the Western station.